A7 Document Enclosed Envelopes for Parcels. These envelopes are ideal for storing invoices, delivery notes and any other relevant documents. They are clear, allowing the contents to be seen and have a bold red box with black text stating 'Documents Enclosed' on them. 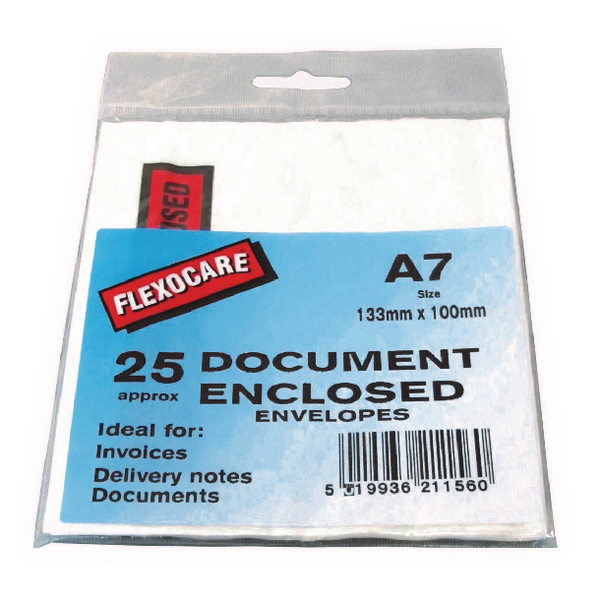 These A7 envelopes are perfect to use on parcels and mailing boxes. This pack contains 25 envelopes.